Two Dundee Airport fire fighters will trek across Europe to Bosnia in a bid to share their life saving skills with their firefighters. The 3,000 mile round journey will be partnered other fire fighters from International Fire and Rescue Association(IFRA), a Scottish charity which equips and trains emergency services’ personnel across the globe. 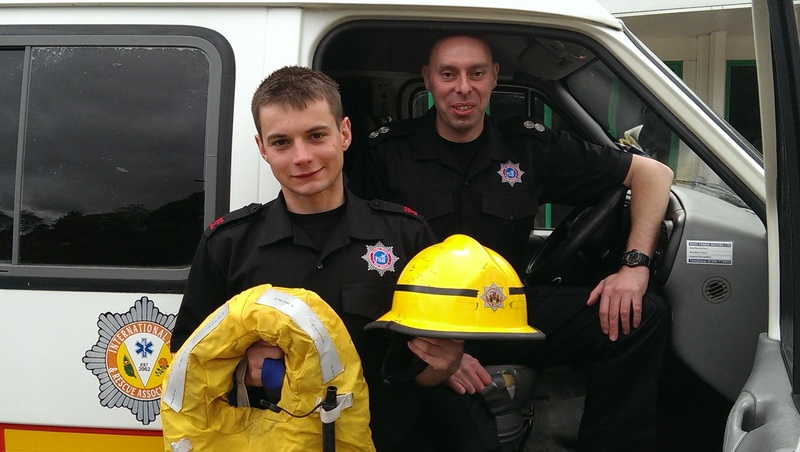 Watch Manager Gary Johnstone and airport fire fighter Lucas Belina depart 18 May from Newcastle where they will board a ferry to Amsterdam. On invitation from the mayor, they will drive across Europe through the Netherlands, Germany, Austria, Slovenia and Croatia before arriving in the town of Cazin, North West Bosnia, bordering. Gary Johstone, who is on his sixth mission and his first as a commander, said: “We are both looking forward to the challenge and are delighted with the support received from Dundee Airport and HIAL. The group will provide specialist training skills such as breathing apparatus, road traffic collisions, water rescue and petrochemical fires to over 50 local fire fighters. It will be Lucas’s first mission with IFRA but Gary has previously travelled to Paraguay, Argentina and Albania. IFRA has around 250 members across the UK and assists 19 countries across the world. It has dispatched over 70 fire appliances, ambulances and 22 containers full of equipment to countries affected by war, civil unrest or natural disaster.